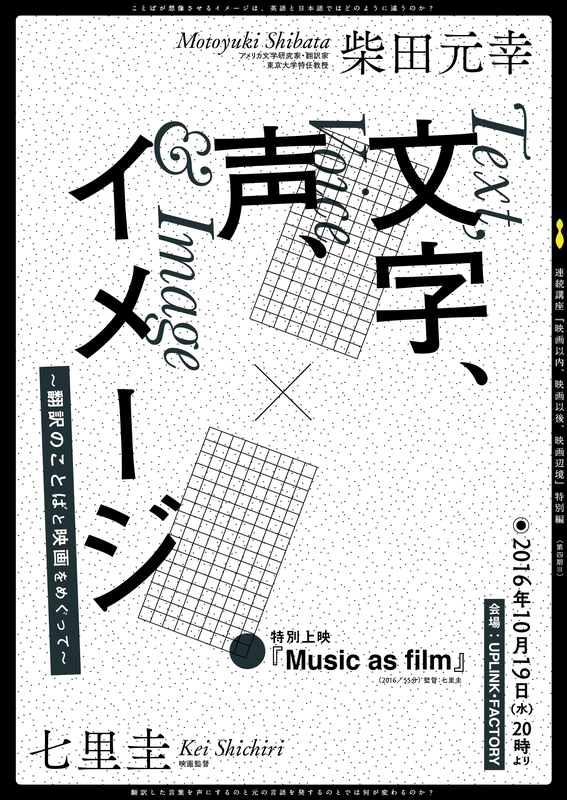 Kei Shichiri’s avant-garde film “Music as film,” which caused a sensation in Image Forum Festival 2016, will be showing at UPLINK in Shibuya. Motoyuki Shibata, leading researcher/translator of American Literature, will join the post performance talk with the director Kei Shichiri(The talk is in Japanese). 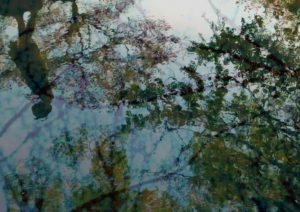 Using subtitles and voices simultaneously, this experimental work reveals a strange relationship between cinema, which was born in Paris at the end of the 19th century, and a never-staged version of the play Salome.Reworking the original version of MUSIC AS FILM (2014), the international version adopts voices of native English speakers as well as English subtitles. Made his debut as a director with MY EASYGOING SISTER in 2004 after ten years as an assistant director beginning when he was still a student at Waseda University. Major works include HOTTENTOT APRON – A SKETCH (06) and BEFORE THE DAY BREAKS (07). His short film DUBHOUSE (12) won the Grand Prix at the 2013 25FPS International Film Festival. In recent years his“movies made from sound” project is in progress.